Goooooood afternoon! Here I show you how to this pink glittery white graphic eyeliner tutorial. I mention all the products in this video but I will list them again down below. 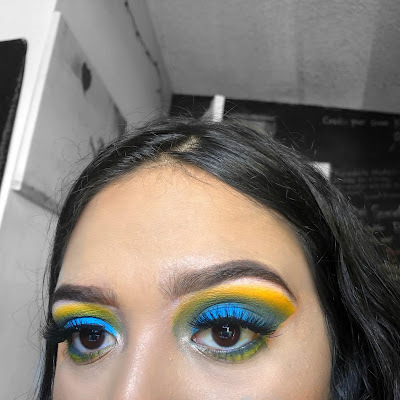 No inspiration for this look just felt the need to create something.... anything! Soooo, this is what my brain of mine came up with. This is my first time talking in any of my tutorials so I am a bit awkward I feel like *hehe* bare with me I am getting used to actually talking than doing voice over tutorials. Enjoy!